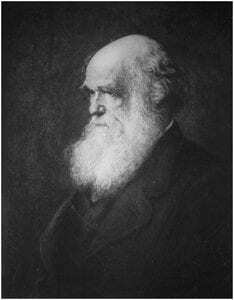 Charles Darwin did not formally publish on the topic of evolution until 1858, when excerpts from an essay he had privately written in 1844 and a portion of a letter to the American botanist Asa Gray were published along with Alfred Russel Wallace’s formal manuscript on the mechanism of natural selection (click here to read all three pieces) in the Journal of the Linnean Society of London, Zoology. Nevertheless, Darwin wrote extensively about evolution in his private notebooks beginning shortly after his return from the voyage of the Beagle in 1836. In 1842, he wrote his first formal essay on evolution and this was expanded in 1844. These two essays were first published in 1909 (click here to read). Between 1855 and 1858, Darwin worked on what became known as his “Big Species Book” which was subsequently abandoned when he learned that Alfred Russel Wallace had independently elucidated the principle of natural selection and there was a need for expeditious publication of his views. What came next, was the remarkable flurry of writing activity that resulted in On the Origin of Species, published in November of 1859 (click here to read).